And while D.C. may be thinking ahead to a new Congress and new reforms, there’s still plenty of news (and holiday cheer) left in 2018. This week saw a flurry of pricing activity, regulatory action, and famous genetically-edited babies. UTAH SENDS PATIENTS SOUTH OF THE BORDER (this is not a joke): Utah is providing travel and cash incentives for public employees to travel to San Diego, and then across the border with Mexico for cheaper care and medicines in a handful of categories. The national reaction has been mostly raised eyebrows, but Utahans (we looked it up) are cheering and see it as an example of state action where the federal government has been inert. Look for that mantra to continue into 2019. THE PRICE OF THE PEN: The EpiPen, that is. After A LOT of discussion about the price and the manufacturing woes that jeopardized the national supply of Mylan’s epinephrine injector, last week TEVA launched a generic version at the exact same price as Mylan’s authorized generic. However, with limited initial supply, Americans who need affordable anaphylaxis protection may still need to keep searching local pharmacies. But, along those lines, in a move that is good PR and good for the public health, Kaleo, who makes a competing auto-injector, recently announced a program with Walgreen’s to offer the pens for $0 copay. ICER RAISING FUNDS? In a move to diversify their fundraising base or to fund additional projects moving forward (or both), the Institute for Clinical and Economic Review (ICER) hired a new development lead. The effort, if successful, may make ICER less reliant on funds from the Arnold Foundation, which drove press attention this year. Look for the group to get involved in new healthcare categories next year. ►WILL VALUE-BASED CONTRACTS SOON SAIL INTO SAFE HARBOR? The Trump administration announced it would consider modifying the Anti-Kickback Statute to facilitate more coordinated, value-based care, and exempt healthcare providers and drug-makers from being seen as defrauding the government. The news comes as biopharmas and private insurers are increasingly entering into value-based agreements (VBAs – also known as outcomes-based agreements) to provide greater cost certainties for innovative, often pricier medicines. Under the current law, the Anti-Kickback Statute prevents Medicare and Medicaid plans -- and the patients enrolled in them -- from participating in such agreements. Similarly, government-insured patients can’t receive copay support that drug-makers frequently offer to commercially-insured patients. This is because as the statute stands today, VBAs and copay support runs afoul of the statute since they constitute financial incentives that, at least in theory, induce government-insured patients to purchase and use a particular medication. Critics blasted this as “a get out of jail free card” for the industry, but most public comments largely embrace reform and reflect the need for regulatory clarity on the legality of VBAs for Medicare and Medicaid plans. With more gene therapies and CAR-Ts headed toward the marketplace, flexibility around Anti-Kickback regulations will be needed. Government payers face increasing budgetary strain, so value-based agreements can help ensure they pay for medicines that work. But don’t get too excited yet. Despite the openness from HHS, another side of the Administration, the Department of Justice, has been increasing enforcement on pharmaceuticals under the anti-kickback statute – leaving a very murky environment for pharma compliance officers and legal teams to navigate. Proprietary research shows most parents don’t want to conduct gene editing therapies on infants and toddlers until they are clearly symptomatic – even if genetic testing confirms the diagnosis. We believe companies developing transformative medicines will need to hire and elevate bioethicists to levels as prominent as the C-Suite. For the first time, the FDA has approved a medicine, Vitrakvi, from Bayer and Loxo, indicated to treat a specific genetic mutation of cancer, rather than the site of the tumor. Of course, a new type of approval sets up a new set of business and payer challenges. For example, patients with the applicable tumor type must be identified through a gene sequencing of the tumor, which isn’t standard practice yet. And the rarity of the tumor type has helped drive a list price that some insurers may challenge. The annual list price of Vitrakvi comes in it at $393,000 a year for adults and $132,000 for the liquid form used in pediatric cases. Insurer reactions to Vitrakvi’s list price were generally positive in the press, in part because the population taking the therapy is small – and the medical breakthrough is unquestionable. In our view, Bayer was effective explaining the rationale behind its pricing, articulating that the lower pediatric price is due to a child’s smaller surface area. Only time will tell, whether payers will pay for costly oncologic therapies and the expensive genetic tests required for their diagnosis. Transformative oncologic developers need to start communicating the value and need of diagnostics + therapies long before development to build support at the time of launch and beyond. Until next week, this has been The Week That Was. 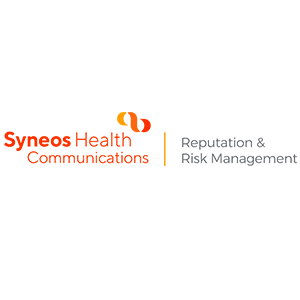 Syneos Health Communications' Reputation & Risk Management Practice is a team of healthcare communications consultants, policy-shapers and crisis response specialists. Drawing on our professional experiences from Congress, CMS, HHS, hospitals, health technology and biopharmaceuticals—we provide unique solutions to the evolving communications challenges in today’s healthcare industry. We support trade associations, biopharmaceutical and consumer goods companies’ in evidence-based approaches to successfully navigate the most sensitive of situations facing their industries. In our spare time, we drink too much coffee, geek out on healthcare news, and obsess over Sunday morning political TV.